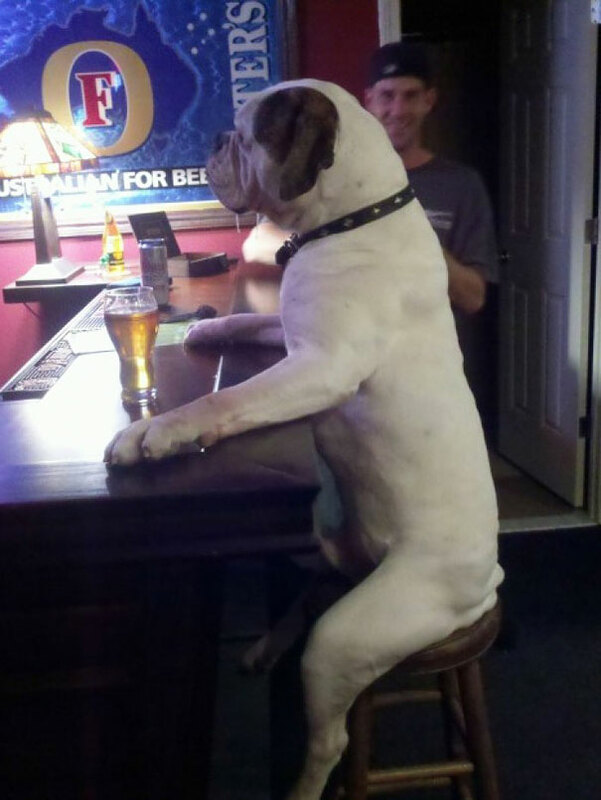 It is most funny picture of bulldog that sits down on a stool with front paws on a table and enjoys a cold drink. Bulldog is usually kept as a pet and trained by master for domestic reasons. Picture shows that bulldog forget which is an animals and doing fun activities such as sitting on a stool and drinking in a glass like a human.